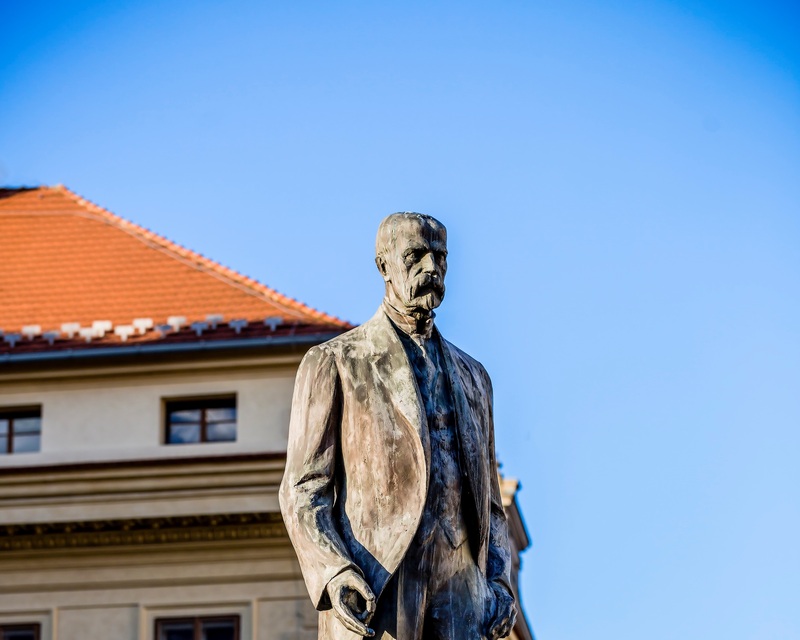 A bronze statue of T. G. M. was unveiled at the Hradčanské Square, close to Salmovský Palace, on the occasion of the 150thanniversary of his birth. President Václav Havel and the American Secretary of State Madeleine Albright attended the festive unveiling. 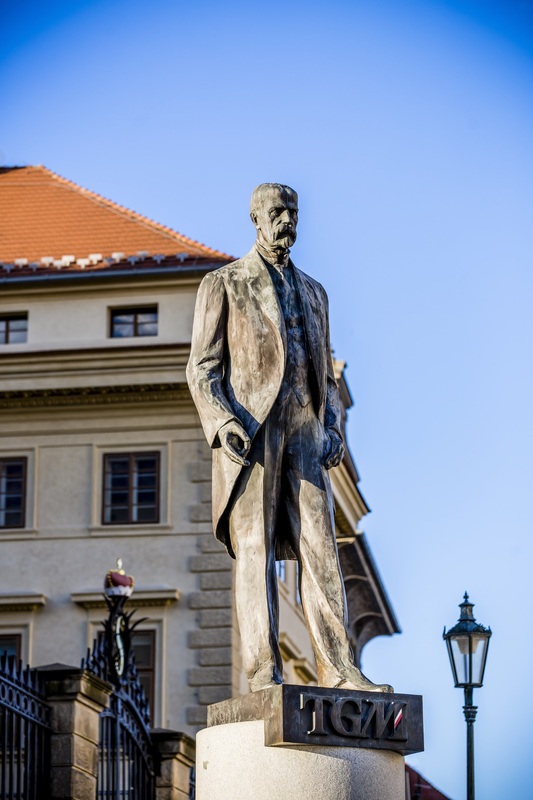 A bronze statue of T. G. M. was unveiled at Hradčany, at the Hradčanské Square, close to Salmovský Palace, on the occasion of the 150thanniversary of his birth. 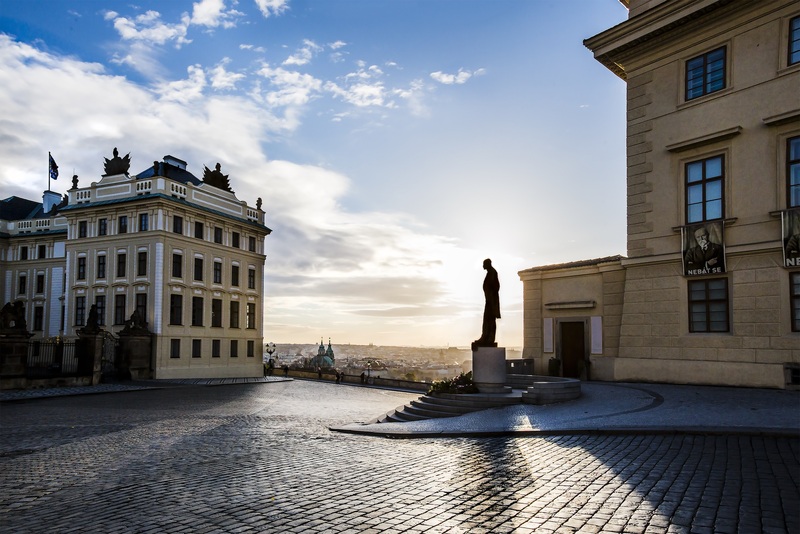 The statue was created by academic sculptors Josef Vajce and Jan Bartoš based on the original work of sculptor Otakar Španiel from 1931, which is located in the Pantheon of the National Museum in Prague. The statue is 3m high, it weights about 500kg, stands on a round granite pedestal and is a triple enlargement of Španiel's original work. President Václav Havel and the American Secretary of State Madeleine Albright attended the festive unveiling. A duplicate of this statue was sent to Mexico to be placed at the main street, which bears the name of T. G. M.